News and Information | Richards & Walker, Ltd.
Richards & Walker sponsors bus trip to Tigers vs. Indians game to benefit the Walk to End Alzheimer’s Disease. On July 18, 2014, Richards & Walker sponsored a bus trip to the Tigers vs. Indians game at Comerica Park in Detroit, Michigan to benefit the Williams County 2014 Walk to End Alzheimer’s Disease. The bus was packed and everyone enjoyed the game. Jil and Chris would like to thank everyone who participated and helped with the arrangements to support the Alzheimer’s Association. The Williams County 2014 Walk to End Alzheimer Disease will take place on September 13, 2014 at the Jaycee Pavilion in the Bryan Recreation Park. 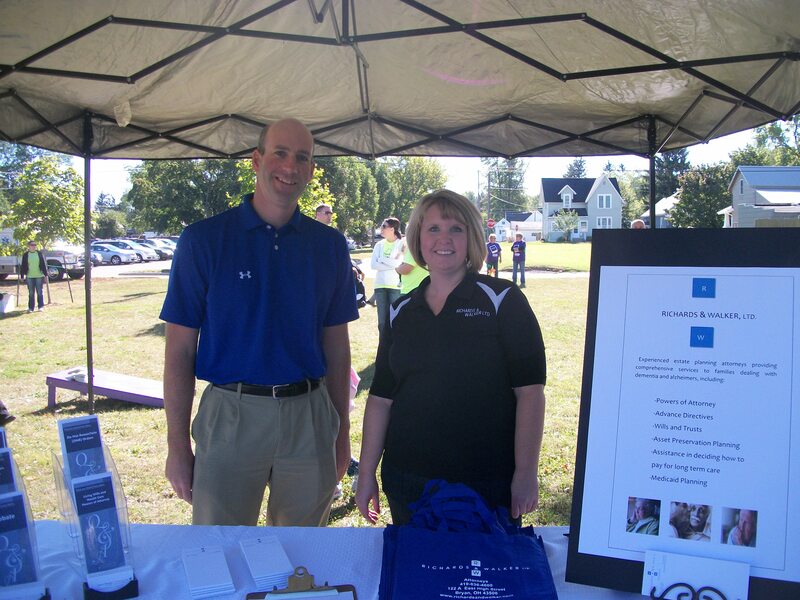 Jil Richards and Chris Walker serve as campaign chairs for the Williams County 2014 Walk to End Alzheimer’s Disease. Jil Richards and Chris Walker are serving as the campaign chairs for the Williams County 2014 Walk to End Alzheimer’s Disease. The Walk will take place on September 13, 2014 at 1:00 PM at the Jaycee Pavilion in the Bryan Recreation Park. For more information please contact the Northwest Ohio Chapter of the Alzheimer’s Association at 419-537-1999. If you would like to join the Richards & Walker walk team, please call Jil or Chris at 419-636-4600 or join online by clicking below. On November 13, 2013, Attorney Jil Richards of Richards & Walker, Ltd. led a discussion regarding legal issues for families affected by Alzheimer’s Disease. The event was sponsored by the Rest & Recuperation Program of Defiance County Senior Services. For more information about the Rest & Recuperation Program, you may call (419) 782-3257. If you would like more information about legal issues for families affected by Alzheimer’s Disease, please call Jil Richards at (419) 636-4600. 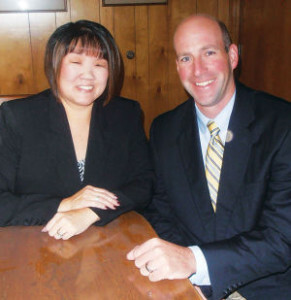 Chris and Kathy Walker are volunteering as the Campaign Chairs for the 2013 United Way Campaign. United Way of Williams County raises funds to support various programs that address community needs. United Way focuses its efforts on education, income, and health. Click on the photo below to learn more about United Way of Williams County and how you can help. Richards & Walker, Ltd. had teams in the Walk to End Alzheimer’s in both Bryan and Defiance on September 14, 2013. With the firm’s Gold level sponsorship and team member donations, Richards & Walker, Ltd. raised over $1,600 to help in the fight against Alzheimer’s disease. 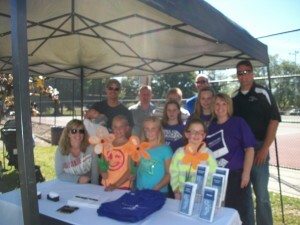 Jil Richards was also a guest speaker at the Bryan walk. Jil addressed the participants about advocacy for persons with Alzheimer’s disease and legal issues pertaining to families affected by the disease. 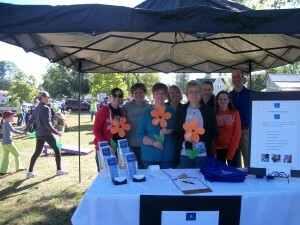 Richards & Walker, Ltd. will participate in the Alzheimer’s Association’s annual Walk to End Alzheimer’s in both Bryan and Defiance. The Bryan walk is on Saturday, September 14, 2013 at the Jaycee Pavilion at 3:00 PM. The Defiance walk is on Saturday, September 14, 2013 at 10:30 AM at Kingsbury Park. 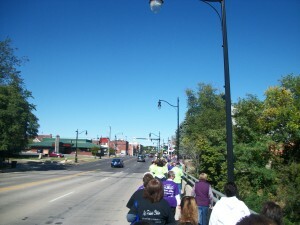 Click the photo below to learn more about the Walk to End Alzheimer’s and join our team. 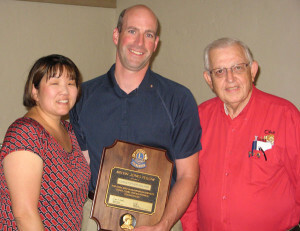 On July 9, 2013, Chris Walker received the Melvin Jones Fellowship Award from the Bryan Lions Club. The award is named after the founder of Lions Club International and recognizes service to the club and the community. Chris has been a member of the Bryan Lions Club since 2007. The Bryan Lions Club meets on the second and fourth Tuesdays of each month at 6:15 PM at the Bryan Moose Lodge. The club organizes and participates in many community projects. Click the photo for more information about the Bryan Lions Club. On June 28, 2013, Jil Richards was the guest speaker at the Montpelier Senior Center. Jil discussed estate planning and other legal issues affecting senior citizens. Jil is a member of the National Academy of Elder Law Attorneys and has spoken to a number of senior citizens’ organizations.